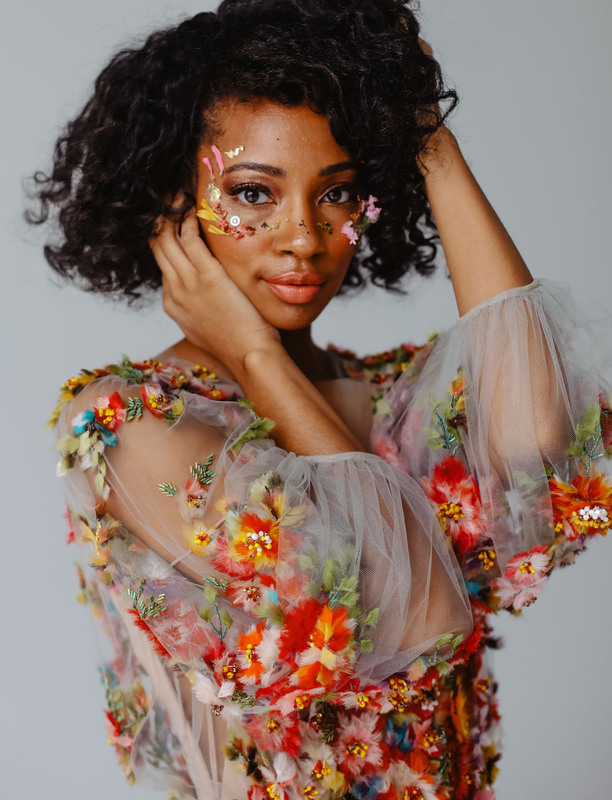 Here at GWS, we’re big advocates for wearing whatever wedding dress you so desire—when we say that, we mean any color, any style, any embellishments. 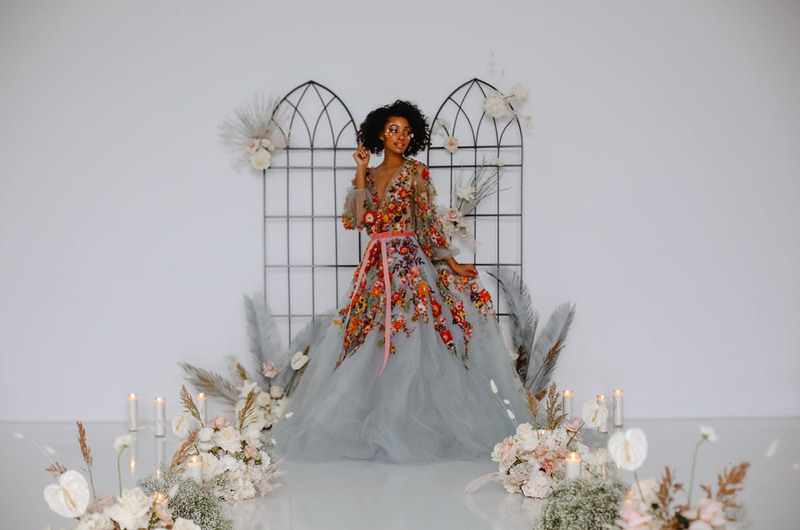 Yep, that means if you don’t want to rock a white wedding dress, we’re in full support of you doing YOU (we’ve even put together this list of Our Favorite Wedding Dresses with a Pop of Color and Our Favorite Black Wedding Dresses, if that’s more your style). 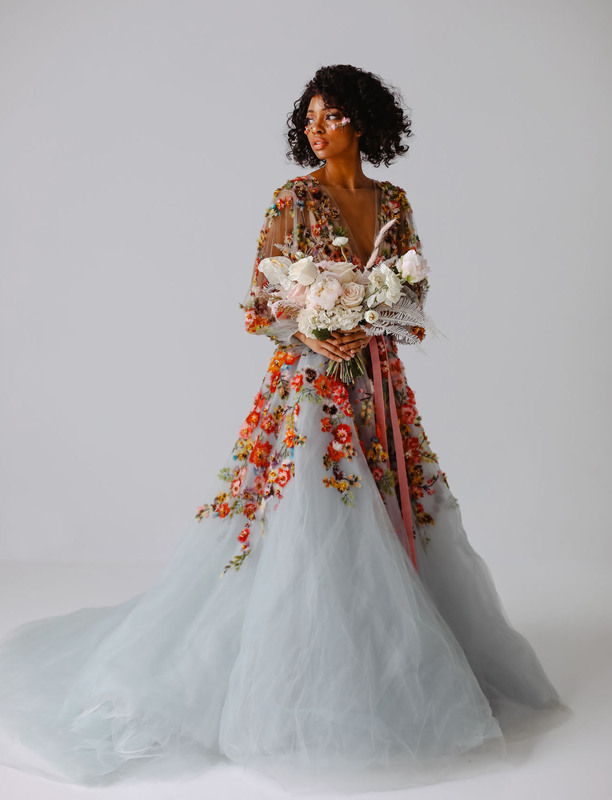 Known for pushing boundaries and always doing things *their* way, Marchesa designed this brilliantly blue and floral embroidered gown that we simply can’t take our eyes off of. 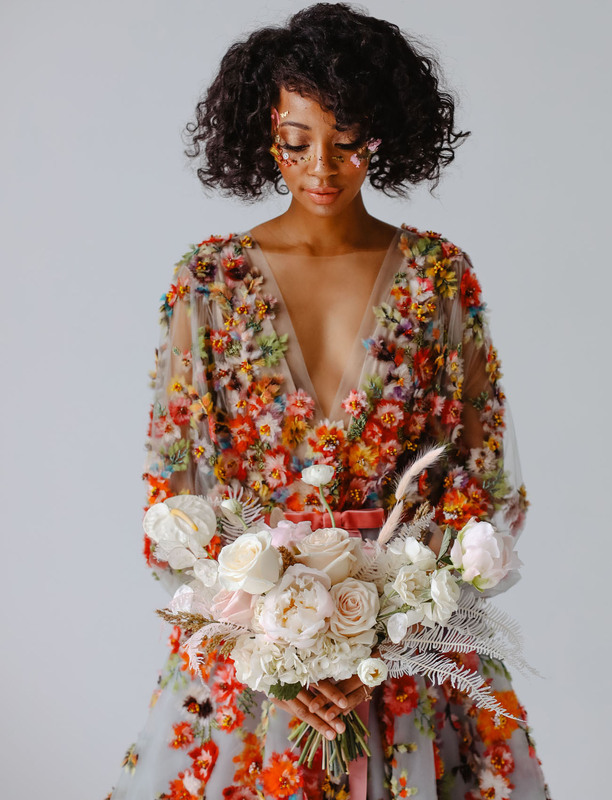 Corinne of Love To the Core Photo + Jess Albins Events thought what better way to highlight the dress and balance out its vibrant color palette than with a soft, romantic and neutral setting—making sure the dress + the bride received all the undivided attention, of course! 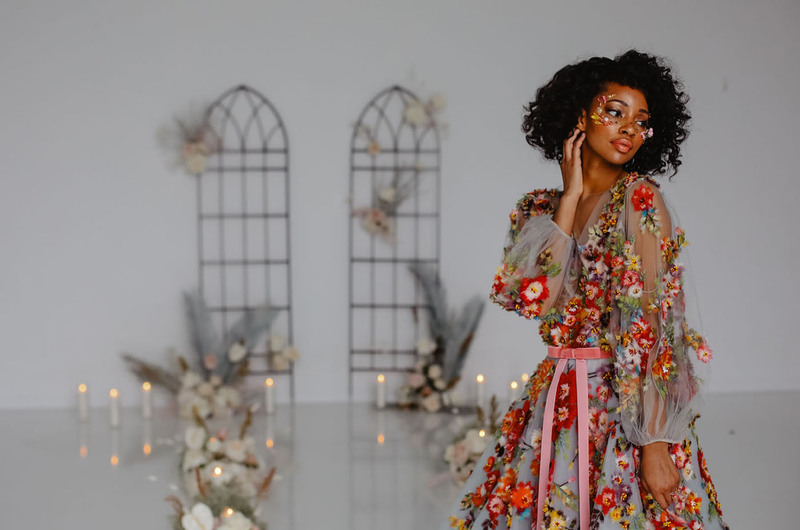 :) So, if you’re wondering what a wedding would look like if you skipped the white dress and opted for something with a splash of color, this is for you! What do we talk about first? 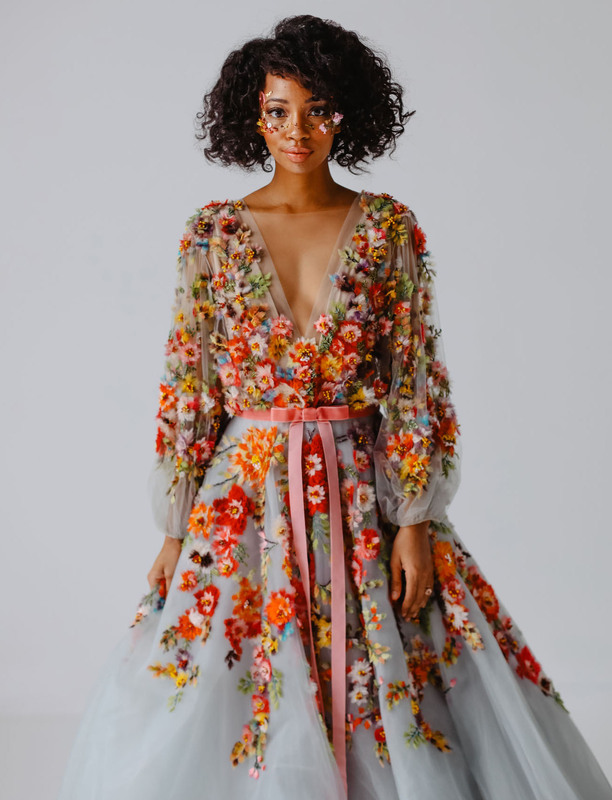 The plunging neckline, the floral appliqués, the color? 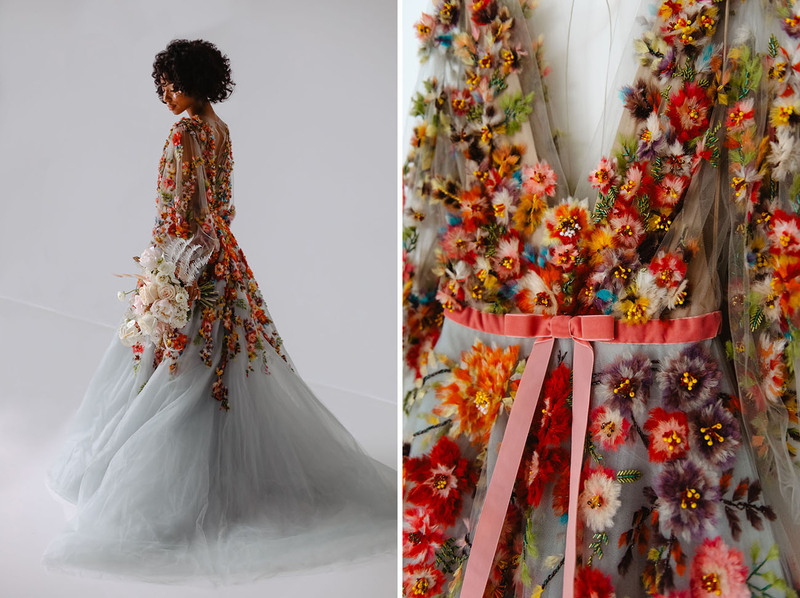 This organza masterpiece by Marchesa has simply captivated us. All that detail + the intricate beading!! The SLEEVES! 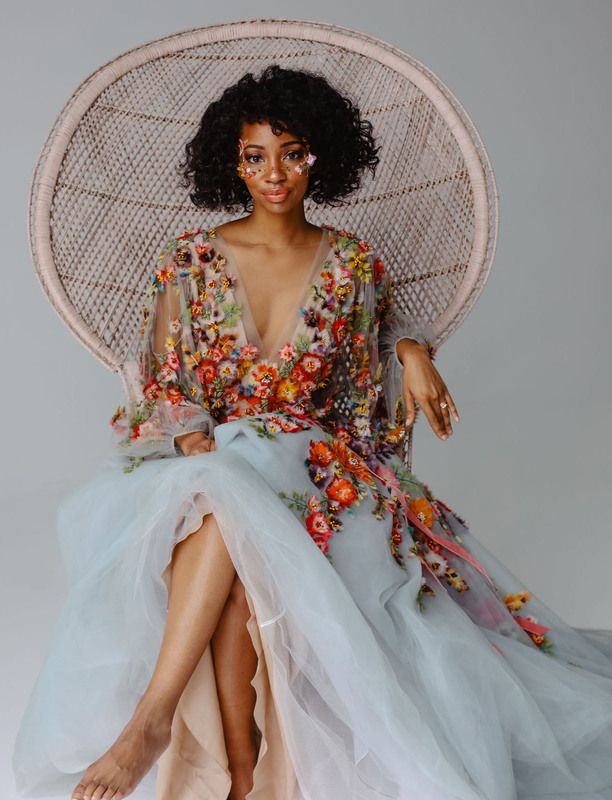 Want to snag this gown? You can find it + other stunning beauties at Moda Operandi. 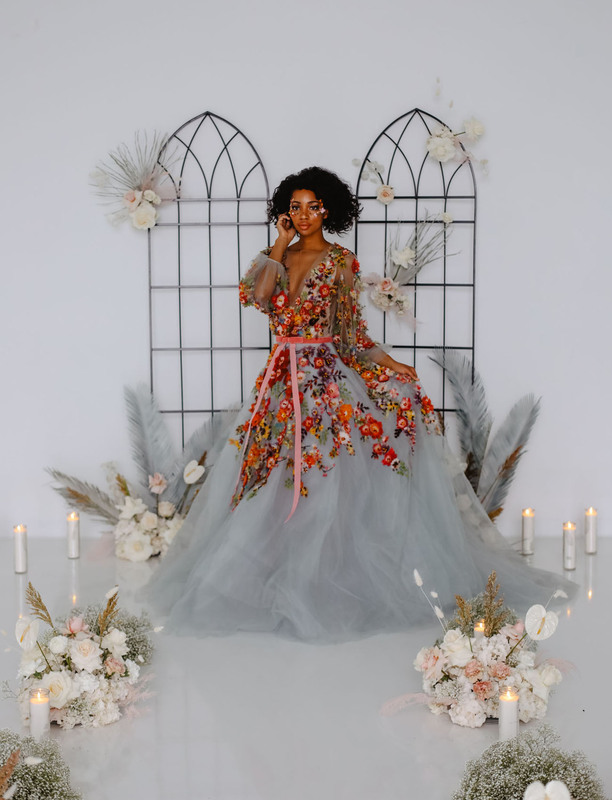 The bouquet was a sea of white, ivory, cream and blush with unique bleached ferns, leaving all the color to *pop* on the gown. 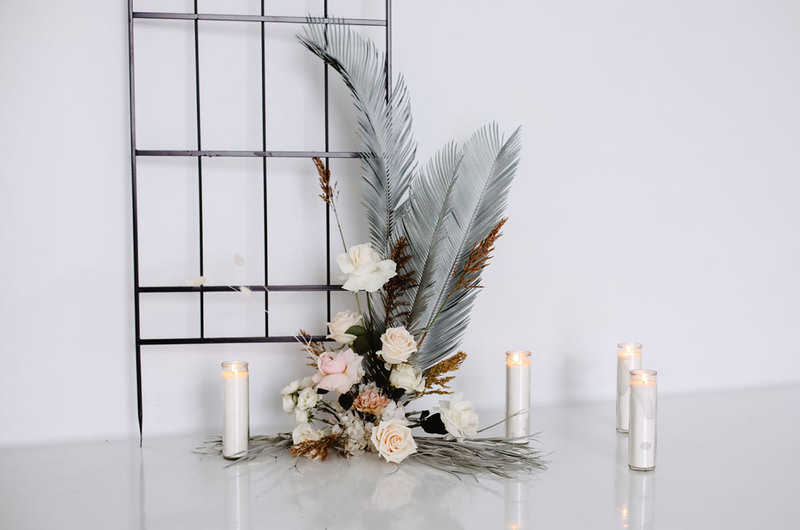 Keeping things simple and refined, the aisle was lined with light + airy florals by Love & Luster. 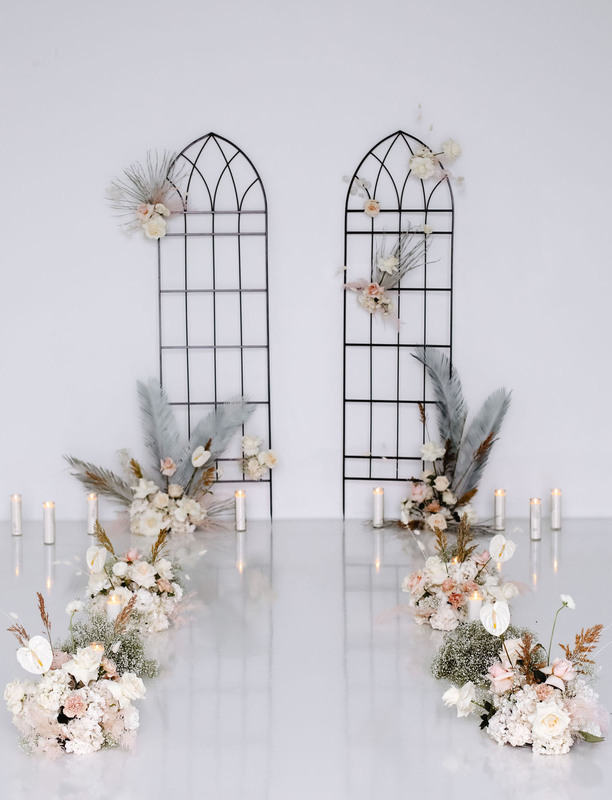 We dig the minimal window-like backdrop—the perfect way to frame the bride! 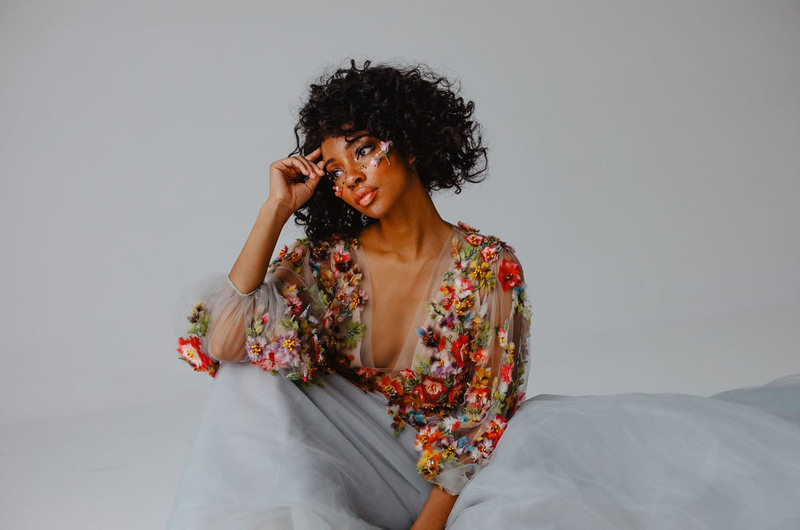 To further heighten the editorial look, makeup artist Kali Taylor featured more florals + gold leaf on the bride’s cheeks, while the remainder of the look was fresh, natural + glossy. 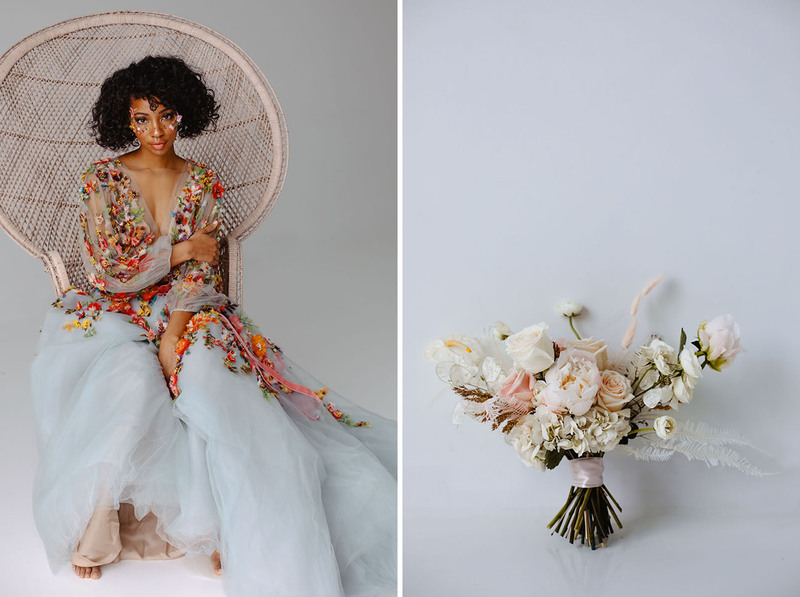 The juxtaposition of an environment of neutrals with the wild and whimsical dress is just enough of a unique pop, while still keeping it somewhat grounded in timeless tradition—don’t you think?